Consignment Chic, LLC announces the launch of a brand new line of custom designed, private label consignment themed t-shirts. Resale shoppers across the country will now be able to express their passion for consignment and resale shopping in a fun, fashionable way. I am so impressed with the new line of Consignment Chic t-shirts! I have a background in art, and I love all of the designs. 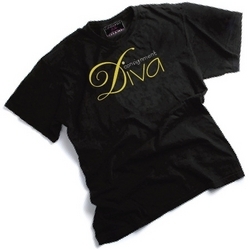 Consignment Chic, LLC launches its brand new private label line of fashionable consignment and resale themed t-shirts. Consignment shoppers across the country will now be able to express their passion for consignment shopping and resale shopping in a fashionable way. “We are constantly looking for ways to broaden the Consignment Chic brand in the eyes of consumers. Consignment shoppers love consignment shopping and want to express their passion for shopping resale. Up until now, fashionable, consignment themed t-shirts have not been available for consignment shoppers, so we decided that custom designed, private label t-shirts would be a fantastic way to introduce resale shoppers to ConsignmentChic.com,” says Tracy True Dismukes, founder of ConsignmentChic.com -The Online Community for Consignment Shoppers." Consignment shops and resale shops across the country will be selling Consignment Chic’s new line of t-shirts. The consignment themed t-shirts will enable local consignment shop and resale shop owners to promote consignment shopping in their own communities while also making a profit from the sale of the shirts. The t-shirts are being sold in bulk at wholesale prices through the Consignment Chic Partners website with an order deadline of February 3 to get in on the lowest pricing possible. Consignment shop owners interested in qualifying for the quantity discounts may view this short video. In addition, shop owners that place an order by Wednesday, February 3 can also select a free shirt of their choice. The consignment themed t-shirts will also be available for sale to the public in late February in Consignment Chic’s own online consignment store. ConsignmentChic.com is a consumer-focused national website with video clips, blogs, a store finder, message boards, online consignment shopping and information to educate and energize consumers about consignment shopping. Consignment Chic is a member of NARTS, the National Association of Resale and Thrift Stores and ECMTA, and the E-Commerce Merchants Trade Association.